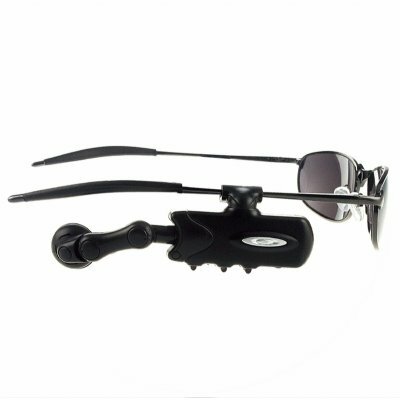 Successfully Added Sunglasses Clip On 2GB MP3 Player to your Shopping Cart. Ergonomic clip on gadget MP3 player. A super pimp addition to any sunglasses or glasses. Lightweight and comfortable this MP3 innovation fits easily onto the frame of most eye wear accessories has a 2 GB internal flash memory, and Chinavasion will even throw in a pair of super cool sunglasses for you to use this with right out of the box. Enjoy hours of music while driving or while simply strolling on a sunny day. With this greart gadget innovation it's easy to have your favourite tunes with you anywhere. Start enjoying today with Chinavasions no MOQ policy and direct shipping right your door. Securely order your sample online today! Note: Please note this product comes with only one single-sided earphone and only one MP3 Player that fits only one side of your glasses or sunglasses.. Even lower prices available for you if you're ordering in larger wholesale quantities. Get your samples first then contact us for your personal discount quotes! If you wish to make comments or reviews about this product, please use the product review. Please open a enquiry ticket if you have questions..